As with Rwanda the prime reason that I had to travel to Kenya was to be interviewed for CWB's back story for a documentary film being made about the Masai warriors cricket team. The film is the vision of Barney Douglas and charts the story of how the warriors cricket team came into being, as well as covering how they are trying to use the sport to challenge and change long held cultural mores, some of which are difficult to comprehend in the 21st century. The CWB team had been coaching in Nakuru for the first week. 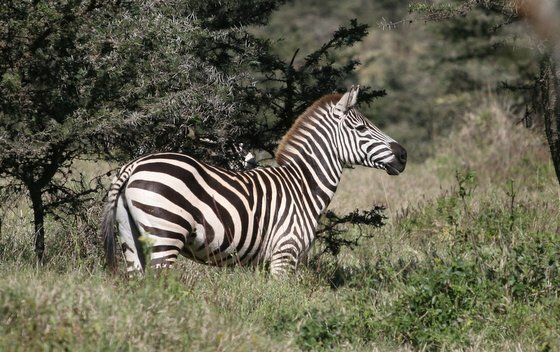 Nakuru is one of CWB's success stories. We have been working there since December 2005 and with Cricket Kenya we have helped it become a hub for cricket in the country. 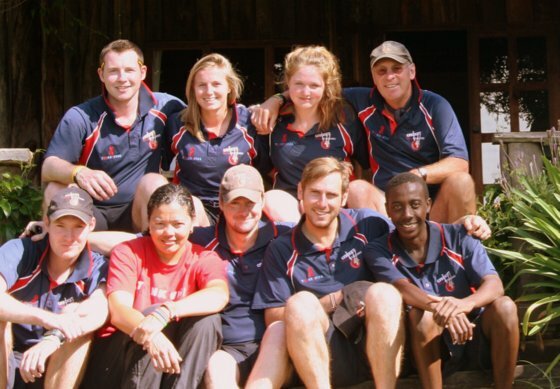 I met the team in a trout restaurant (as you do) under Mount Kenya, near Nanyuki. As with all good CWBer's the team was blessed with an eclectic mix of adventure, idealism, risk taking and optimism. 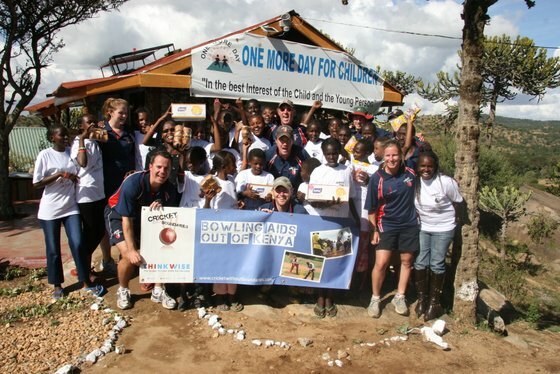 Holly, an England international cricketer and fresh from a World Cup 20/20 final, Jeremy a 60 year old CWB veteran, Jamie our PL and resident Scot, Luke, investigative journalist and tutor, James a Hull University graduate and cricketer, Sarah still at school, Peter our Cricket Kenya coach and of course the ubiquitous CWB board member and heroic volunteer Lee. The plan was that we would then drive onto our base in the Loldayga hills, which we would use a base to commute to the Masai's homeland.The drive to our lodge was a foretaste of the week ahead, stunning mountain scenery and plains of African Savannah, dirt tracks that would become all but impassable in the rain (it being the rainy season), the British army on exercise, giraffe, zebra and antelope glancing suspiciously at the muzingo and the sheer remoteness of it all. 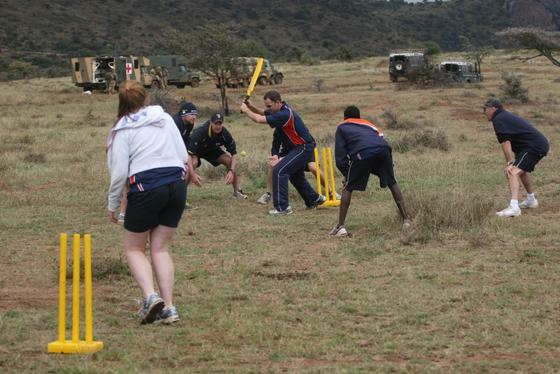 If you could coach cricket with an out of Africa backdrop then this was it. What followed was one of the most intense, difficult, frustrating, humorous, inspiring, maddening and sad weeks I have experienced in all my years of coaching cricket in Africa. I will remember the 4 hours of travelling every day in an area where the best road would not look out of place on a big BMX track. I will remember the scenery from a film set. I will remember girls as young as 5 who had been married, raped and given HIV, yet who insisted on sharing their lunch with us as a thank you for coaching them and bringing a smile to their faces. I will remember my AIDS awareness session with 30 Maasai adults under a tree in the blazing mid-day sun. I will remember our 1920's lodge and our huge dining table and open fire and Lukas our cook's outstanding evening meals. I will remember a school simply in the middle of nowhere with many children's faces unwashed and dirty, so very poor but yet all of them having a quiet dignity that many of our children in the UK with so much more have lost. 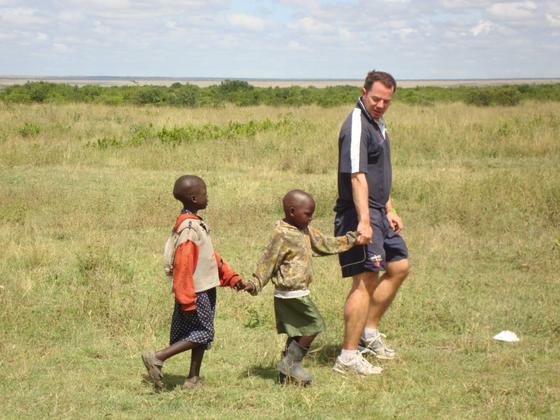 I will remember being inspired by one of the Maasai cricketers walking to our coaching session for 6 hours. I will remember biblical showers of rain and huge skies. I will remember Dol Dol Main Street, looking more like a John Wayne movie set of the Wild West than African town. I will remember mine and Jamie's warm beer in Dol Dol's finest drinking shack with the local's high on the local drug, Cat. But most of all I will remember how a team of 7 volunteers from the UK chose to and did make a difference to people who have so little and put a smile on the faces of thousands of faces. As I told them on my last night all of them can be so very proud of what they have achieved for CWB. A huge thanks must go to Cricket Kenya for looking after us so well and continuing to work closely with us these past 7 years. CWB must also take their hat off to Aliya Bauer, without her energy, vision and hard work there would be little or no cricket being played in the Masai area and certainly no Warrior's cricket team. We will be back. The challenges are significant, but the rewards so much greater. 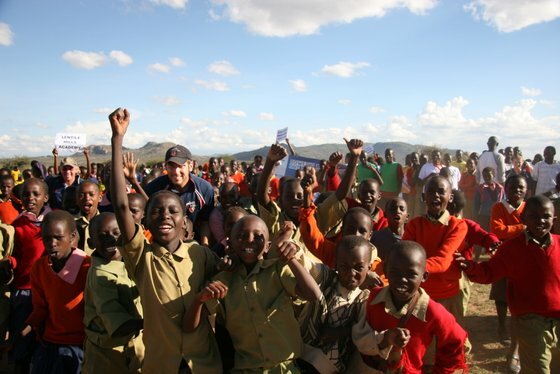 This was the project that truly combined cricket for social good with true adventure.